DUSHANBE -- The backgrounds of the alleged perpetrators of a deadly attack on foreign bicyclists touring Tajikistan became murkier Monday and Tuesday (July 30 and 31), with the "Islamic State" (IS) claiming responsibility and the Tajik government accusing two other actors -- Iran and a banned opposition party -- of plotting the slayings. 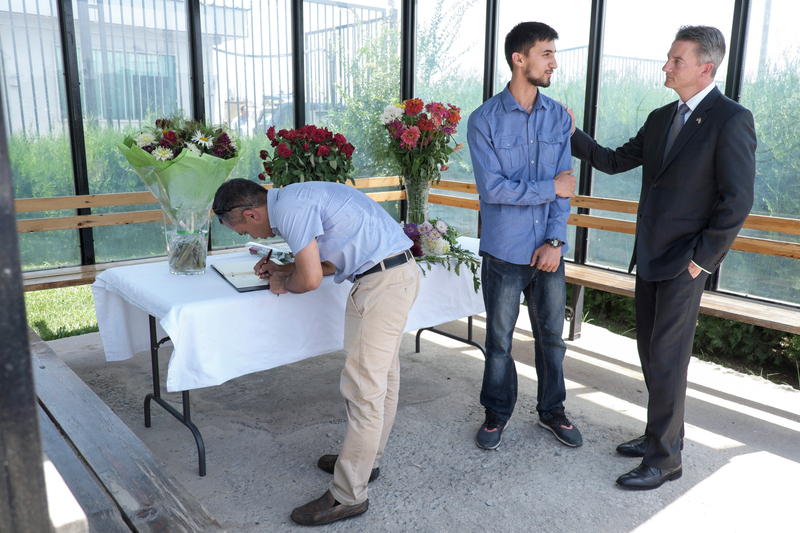 Four tourists -- two Americans, a Swiss citizen and a Dutch citizen -- were hit by a car and then fatally attacked Sunday (July 29) in Danghara District, about 100km from Dushanbe. The killers allegedly came out of the car that hit the tourists. Two other foreigners were injured; one escaped harm. Police killed four suspects and arrested another four. IS claimed responsibility in a statement Monday. However, as its territory in Syria and Iraq has vanished, the terrorist group has claimed other attacks that it did not commit, such as massacres in Las Vegas and Manila by lone gunmen in October 2017 and June 2017, respectively. Meanwhile, Tajik police Tuesday ignored the IS claim and said the suspected leader of the attack, Hussein Abdusamadov, 33, was a member of a banned Islamist opposition party who had undergone "military sabotage" training in Iran.